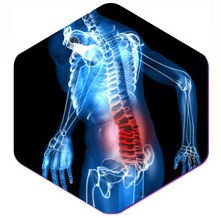 A kyphoplasty is an outpatient pain procedure that is designed to address the pain that occurs after a spinal compression fracture. This can be designed to restore height to the spine that is lost following a compression fracture, or to add stability to the bone so that pain and limited range of motion can be reduced. 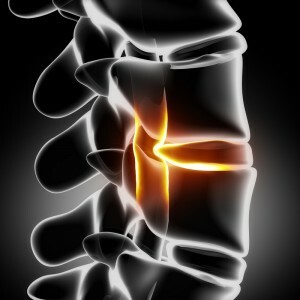 A kyphoplasty will take around a half hour for each vertebra that is involved in the procedure. Patients may need to spend one day in the hospital following the procedure, but usually they can go home within a short time afterwards the same day. 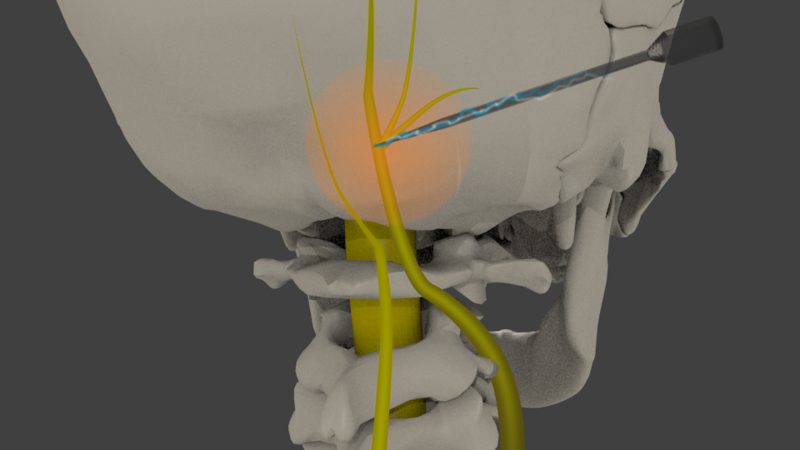 During the procedure the Las Vegas Pain Management Doctor will make a small incision in the back to place a narrow tube. A fluoroscopy will be used to ensure that this tube is in the proper position, creating a guide back to the fractured area of the vertebrae that requires treatment. X-ray images will be used to guide the doctor as he places a balloon into the tube and gently inflates it. This will elevate the fracture so the pieces are sitting in a position that they normally would have before the injury. This will also help to compact the inner bone to create a cavity within the damaged vertebrae. The balloon is removed and in its place the Pain Management Doctor in Las Vegas will insert instruments that can fill the cavity created in the vertebrae with polymethylmethacrlate (PMMA). This is a cement-like mixture that will harden very quickly after it is injected into the body. It is designed to provide stability to the bone under low pressure. Following the procedure the patient will need to rest as the body recovers. You may not be able to drive or perform similar activities until the doctor signals that it is safe. After the procedure, patients may find that they need some form of pain medications for a few days. Some achieve pain relief right away while others report that symptoms are more likely to take hold around two days after the procedure. Those that have completed a kyphoplasty are encouraged to return to normal activities quickly, though they should not take on strenuous activities such as heavy lifting for at least 6 weeks. Patients should receive treatment for osteoporosis to help prevent future fractures. There is a very high likelihood of additional fractures, so receiving medications for bone density can help.. In some cases a kyphoplasty can cause infection, blood loss, or allergic reaction. This is no different than any other Las Vegas pain management procedure. 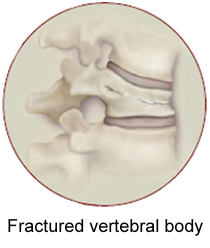 In rare cases, cement can extravasate from the vertebral body and cause a neurologic complication. The top pain doctors in Las Vegas and Henderson are at Nevada Pain. Both medical and interventional pain treatments are offered, which may include cutting edge procedures like kyphoplasty or long standing procedures such as epidural injections. Most insurance is accepted at the Las Vegas pain clinics, call (702) 323-0553 today! Radiofrequency ablation is a minimally invasive medical procedure. The procedure focuses on relieving pain coming from the joints of the neck or back and may provide over a year of consistent pain relief. Heat is generated from high frequency alternating current. Patients are treated in an outpatient setting, using either local anesthetics or conscious sedation anesthesia. The RF currents used do not directly stimulate nerves or heat muscle. This is why the procedure can be done without general anesthetic. The treatments can be used to treat tumors, the heart, varicose veins, obstructive sleep apnea, and help with pain management. Patients preparing for a radiofrequency ablation procedure should not eat within six hours of their appointment. Clear liquids are allowed until two hours before the procedure. Those who take insulin must adjust their dosage the day of the procedure according to the Las Vegas Pain Management Clinic instructions. Other medications can be taken before the procedure, but need to be verified by a medical professional. After the procedure, patients will need to have someone drive them home and should not operate machinery or drive for the first 24 hours. In preparation for the procedure, an IV line may be administered. A local anesthetic or mild sedative can be given to reduce discomfort during the treatment. To properly assess the procedure, patients will remain awake so that they can communicate with the doctor. After the anesthesia takes effect, the pain doctor inserts a small needle into the general area where pain is being felt. The Las Vegas Pain Doctor then guides the needle to the exact target area with the help of an x-ray machine known as fluoroscopy. 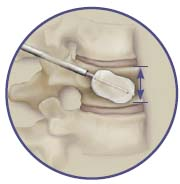 Once the needle is in place a small radiofrequency current is sent into the surrounding tissue via the electrode. This causes the tissue to heat. Patients may feel slight discomfort during this portion of the procedure. After the procedure patients stay in a recovery room for observation. A bandage is placed over the injection site and the patient’s blood pressure and pulse are monitored. The nurse will review discharge instructions that include rest for 24 hours. The bandages can be removed that evening and patients can resume their normal diet. At times after a radiofrequency ablation, a patient may have continued muscle spasms for a week or so after the procedure. 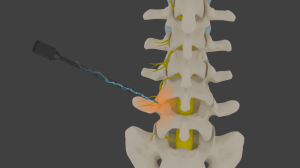 The results in published studies show that over 80% of patients receiving a radiofrequency procedure experience significant pain relief, often for anywhere from 6 to 18 months. When the pain relief wears off, the procedure may be repeated with the expectation the same result will be seen. The top pain management doctors in Las Vegas, Summerlin and Henderson are with the Nevada Pain Network. There are several locations with Board Certified pain management doctors accepting over 50 insurances. Call (702) 323-0553 for more information and scheduling today! Close to 1 million back surgeries are performed each year now in United States. The majority of them are elective, meaning that it is a quality-of-life decision to undergo the procedure and not an absolute necessity. There are multiple factors to consider when making the decision to undergo back surgery. Here are Five of them. 1. The first consideration is whether or not to seek a second opinion. 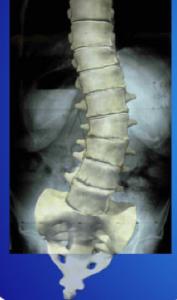 Spine s urgery is never a decision to be taken lightly. Therefore, give some serious thought as to whether or not a second set of qualified eyes on your situation would be in your best interest. Three things may occur from this second opinion. One would be whether or not the surgeon feels like the procedure is indicated. The second thing that may occur is the surgeon may feel like surgery is indicated but a different procedure and what has been planned would be the best option. And the third thing that could happen is the surgeon feels like you should have the procedure that has been offered. Whichever occurs during the second opinion, at least it will help to have a second set of eyes looking at your situation. 2. The second consideration is to consider whether or not all attempts at conservative treatment have been tried. Because there are risks associated with spinal surgery, considerable nonoperative treatments should be tried first. This may include physical therapy, Las Vegas Chiropractor treatment, pain medications, interventional Las Vegas Pain Management treatments and maybe even acupuncture. The point is that you want to be able to look at yourself in the mirror down the road and say that you truly tried everything possible before undergoing the procedure. 3. A third consideration prior to undergoing back surgery is a risk assessment. There are quite a few risks associated with some spine procedures, whereas, others have just a few. However, no procedure is risk-free and a risk tolerance needs to be evaluated prior to signing up. For instance, adult scoliosis procedures have a very high complication rate at over 50%. 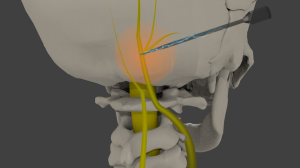 The risk of complications with a simple laminectomy are well under 5%. Regardless, be sure to listen very closely when your surgeon is describing the risks and benefit s of the proposed procedure. 4. Another consideration prior to undergoing back surgery is a reality check on the potential outcomes. While a small percentage of back surgery outcomes are akin to a homerun in baseball, more often than not the outcome would be a double. This would mean that in the case of degenerative disc disease, a spinal fusion or disc replacement may accomplish 50% pain relief as opposed to complete relief. 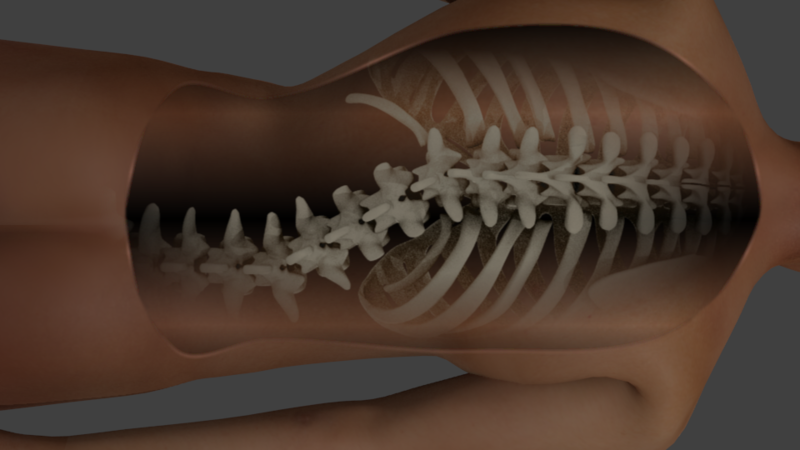 For a procedure like adult scoliosis correction, you may obtain 50% pain relief as well. Rarely, do these procedures provide 100% relief. For instance, when the FDA study was performed looking at spinal fusion versus artificial disc replacement, over half of the patients in both groups were still taking narcotics over a year after the procedures. 5. The fifth thing to keep in mind prior to undergoing back surgery is the timing. Since these are elective procedures, they can be scheduled when an individual has time off from work or the best time and is it her life to accomplish the necessary time for rehab. 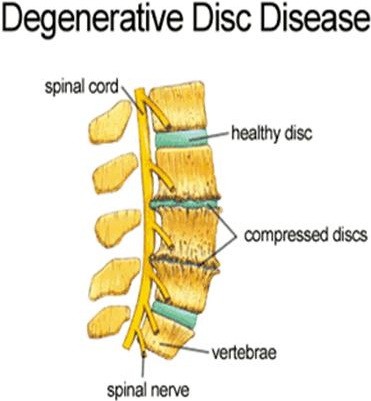 A procedure for degenerative disc disease will require at least 6 to 12 weeks of healing, whereas, an adult scoliosis procedure will take 6 to 9 months to fully recover. With these five considerations, patients will be able to truly establish whether or not back surgery is in the best interest. At that point people will be able to look at themselves in the mirror and say they made the right decision even if a complication occurs. The top pain management doctors in Las Vegas are with the Nevada Pain Network. Award Winning and Board Certified, the doctors work at Henderson and Las Vegas pain clinics that offer both medical and interventional pain management. Over 50 insurances are accepted, with multiple clinics for convenience. This includes personal injury doctors in Las Vegas, Workers Compensation claims, PPO’s, Medicare and more. For breast cancer patients, the pain can be treated a few different ways and for a number of different causes that include nerve damage, breast tissue infection, and breast pain, as well as, issues such as headache or stomachache. Pain doctors will create a customized pain control plan to keep your pain under control. Breast cancer patients may get pain relief through the use of analgesics but for some breast cancer patients there can be a need for treatments to help control your pain. We make the mistake of thinking the only purpose of chemotherapy and radiation is to shrink your breast tumor but these treatments can also reduce your pain. 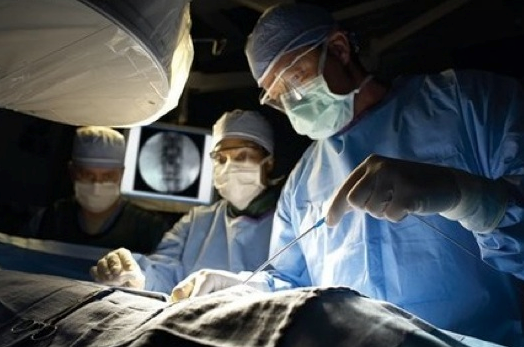 Sometimes, surgery is also used to reduce the pain by removing the tumor. Analgesics commonly used to reduce pain in breast cancer patients. These analgesics can either non-opioid or opioid medications, although opioids are more commonly used to control breast cancer patients with severe pain. Non-opioid analgesics are often effective in treating mild to moderate pain, and they include the use of NSAIDs. They can help to reduce inflammation and your pain doctor may prescribe them in addition to your opioid medications. You can also use acetaminophen to help reduce pain. Corticosteroids like prednisone or dexamethasone are commonly used to reduce inflammation and swelling. Opioids like fentanyl hydromorphone, oxycodone and morphine are prescribed by pain doctors when your pain is moderate – severe. Your pain doctors will access all of your medication to ensure you are on the right combination to produce the best results and pain control. These medications work by reducing the pain impulse messages. Your pain doctors will focus on the no ceiling effect, which simply means that your doctors can achieve pain relief with the use of high enough dosages of pain medication. When opioids are being used, your doctor will always focus on finding the optimal dose where you have maximum pain relief with minimum side effects. Pills are the favorite method for providing opioids. However, subcutaneous injections that are under the skin, intravenous injections that go into the vein, infusions where medicine is constantly supplied to you, skin patches and/or suppositories are also used. If you suffer from constant breast cancer pain, your pain doctor will develop a pain management plan offers you opioids around the clock to keep your pain under control. Your doctors may have to experiment to figure out what the best dosage for you is for controlling your pain. Your pain doctor may also switch you to long acting formulas then use the short acting medications as breakthrough medications. Other techniques that can help with pain include massage, biofeedback, acupuncture, hypnotherapy, reflexology, TENS, aromatherapy and deep breathing. Medical marijuana is also being used because it can control nausea and pain with minimal side effects. Your pain doctor’s focus is to keep your pain under control while undergoing breast cancer treatments. There are many kinds of musculoskeletal injuries that a pain clinic will treat, but one of the main patients to be sent to a Pain Clinic is someone who has suffered musculoskeletal injuries as the result of a car accident. 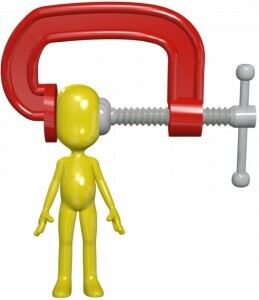 When your doctor is unable to create a pain management plan that works then your doctor can refer to a pain clinic where a team of pain specialists will work to create a plan to eliminate your pain. Musculoskeletal injuries can affect bones, muscles, ligaments and tendons. The pain clinic will evaluate your injuries, do a full consultation and then focus on getting you back to your state before the car accident. Musculoskeletal pain of all sorts share one thing – the complexity and difficulty in getting the pain under control. The pain clinic will have many different pain management specialists on staff and so your team might include pain doctors, occupational therapists, physical therapists, massage therapists, psychologist, psychiatrists, technicians, nurses, and many other health care professionals all with one goal in mind – to make you better and get your pain under control. > Acupuncture, where thin needles are inserted along your meridian in specific spots to relieve pain in a specific area. This treatment has good results is relatively common these days. > TENS is a system that uses electrical stimulation. The technician will attach pads to your skin that are similar to EKG leads with wires sending electrical impulses that will stimulate the nerve fibers. > Physical therapy is used and can be tailored to work the specific areas where the injuries have occurred. Your physiotherapists will use a combination of different techniques and equipment like the TENS to help strengthen while reducing the pain you are suffering. > Aquatic therapy can be very helpful. It is done in the water, which makes it very easy on the muscles and joints. Injections can be used and often contain a combination of medicines such as opioids, anti inflammatory, anesthetics and corticosteroids. 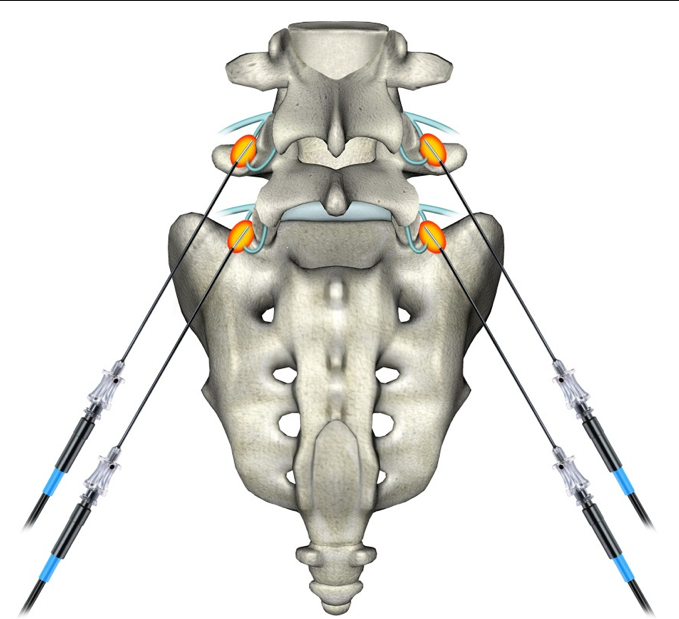 Nerve blocks are another treatment that is used often and it does a good job of blocking pain short term. Dealing with the physical pain is only a part of the treatment. After a while, your emotional well-being can be affected and you can find yourself mentally exhausted too. You might also be trying to process a variety of feelings such as sadness, anger and hopelessness. After all, the car accident changed your life and all you want is your life back. The combination of physical and psychological support can be very beneficial to the patient. You received a Pain Clinic referral because your doctor feels felt they were not able to create a pain protocol that was properly working for you and they felt you were in need of one or more pain specialists, which was available at the pain clinic. The more honest you are with the pain clinic the better the treatment and the better the outcome for you. Cheerleading is a very disciplined sport not to mention it has become very competitive. Today’s cheerleader is basically a gymnast without the floor mats. Today’s cheerleaders are athletes. As a result, cheerleaders are suffering more injuries than ever before. Nationwide Children’s Hospital had Brenda Shields, who is the research coordinator at the Nationwide Children’s Research Institute Center for Injury Research and Policy do a study on cheerleading injuries. What she found is that injuries have actually more than doubled in just 12 years between 1990 and 2002. Another similar study was done in April 2005 and it showed that more than 50 percent of all women’s catastrophic injuries in sports were in cheerleading. Cheerleaders do a lot of stunt activities and tumbling activities. The repetitive routines with all the tumbling put pressure on your spine and can even cause stress fractures. The growth plates in the elbows, wrists, ankles, and knees can also suffer repetitive stress and injury. A bad landing can cause knee or ankle injuries. The ACL can easily be torn. A Pain Clinic will use medicine both non-prescription and opioids to treat pain. Chronic pain suffers will have a team of pain management professionals that will determine the seriousness of the injury, the pain level and what you need to heal. 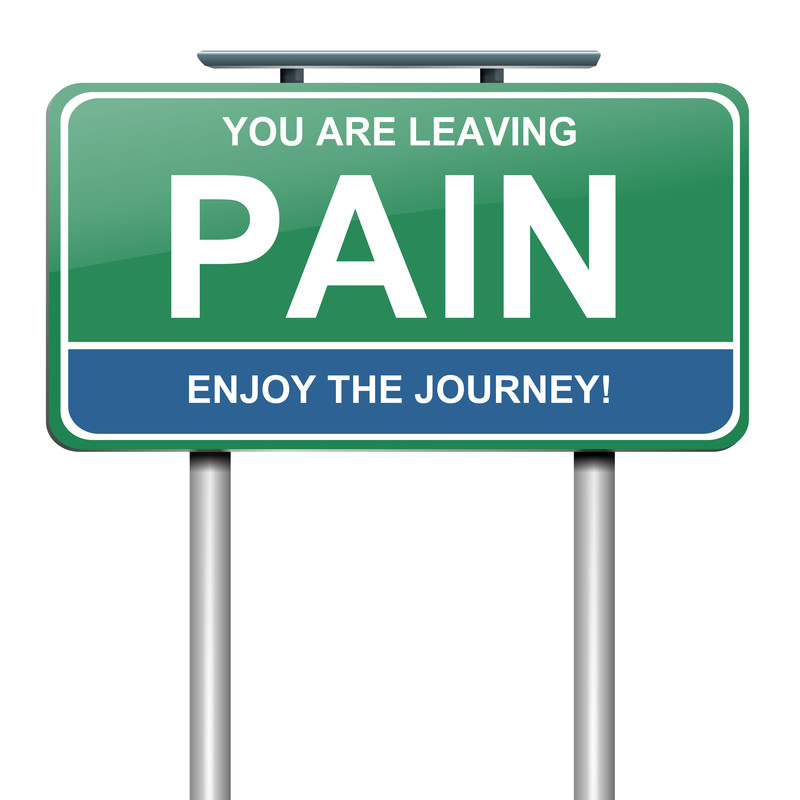 For example, pain management goes much further than just using pain medications. It can involve physical therapy, occupational therapy, a psychologist, alternative treatments like a chiropractor or acupuncture. Parents, athletes and coaches must all become better at spotting the difference between significant injuries and common aches/pains. Let’s look at some warning signs that require medical attention immediately. • Extreme temperature differences between the injured and uninjured side. Overuse can lead to repetitive injuries. These types of injuries get worse over time and they can lead to the loss of function long term even permanently. Overuse symptoms can lead to swelling and/or pain. This can be intermittent but over the severity can also become worse with time and can turn into constant pain and swelling. It is unknown why cheerleading injuries have had such a drastic increase. However, being that the cheerleading routines keep expanding and becoming more complex, it’s highly likely that those trends are going to continue and there could be even more of an increase. One of the best things cheerleaders can do to reduce injuries is to learn proper techniques for landing. Parents, teachers, coaches, and athletes must be able to identify the symptoms associated with injuries and to intervene early. The sooner treatment is sought the less likely that the injuries will become chronic and that the cheerleader will suffer chronic pain. However, if you have chronic pain a pain clinic can create a Pain Management program to relieve even eliminate your pain. According to the International Association for the Study, chronic pain is defined as an “unpleasant sensory and emotional experience that is associated with tissue damage. Chronic pain can be intermittent and it can vary in intensity. There can be a known cause of the chronic pain such as inflamed joints, arthritis, surgery, injury, cancer, musculoskeletal pain, and neuropathic pain. 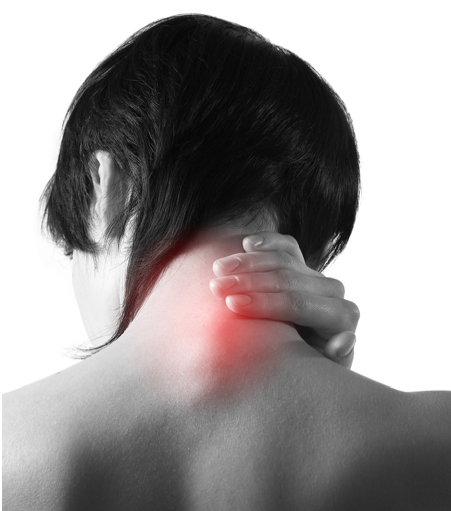 Musculoskeletal pain affects the muscles, bones, tendons, and ligaments. It can be the result of a sports injury, motor vehicle accident, occupational injury, repetitive strain injury, arthritis, disease process, etc. Neuropathic pain is complex and multi faceted with no obvious cause. It can involve damaged tissue, malfunctioning nerve fibers, changes in brain processing, etc. A pain clinic is equipped to determine the best course of action to reduce or eliminate your chronic pain. There are a number of strategies that can be implemented. The pain clinic can prescribe a number of different pharmaceutical treatments that can be prescribed stand alone or in combination with other treatments. • NSAIDs (Nonsteroidal anti-inflammatory drugs). These can be over the counter or prescription strength and include ibuprofen, naproxen, Motrin, Advil, Aleve, etc. • Corticosteroids are prescribed cortisone drugs used for more severe inflammation. • Antidepressants can be used to treat pain and promote sleep. • Opioid pain medications are usually used for acute pain or cancer pain, but they are sometimes used for chronic pain. Acupuncture – This is an ancient Chinese practice where very thin needles are inserted at specific points on the skin along the meridian to relieve pain. Electrical Stimulation (TENS) – A form of electrical stimulation used in pain management the device stimulates the nerve fibers. Injections – Local anesthetics may be combined with a corticosteroid and injected into muscles, joints, nerve roots to relieve swelling, irritation, muscle spasms, and pain. 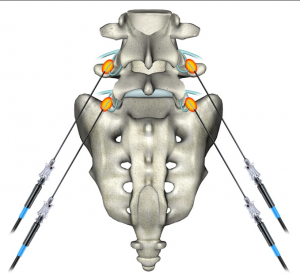 Nerve blocks Injections with local anesthetics can be used to block the pain. Physical and aquatic therapy – A physical therapist can tailor an exercise program built just for you to decrease pain and increase function. A pain clinic program might also include deep muscle massage, ultrasound, or whirlpool therapy. Psychological Counseling – While pain is physical many people suffer emotionally with feelings of sadness, anger and hopelessness. After all, dealing with unrelenting pain affects many aspects of your life including your ability to maintain your home, work, and meet family obligations. Psychological support when combined with medical treatment(s) can help to improve management of chronic pain. Relaxation techniques – Includes biofeedback or relaxation training to relieve pain and stress. Surgery – Occasionally surgery is needed to relieve the problem causing pain. However, it should be a last resort when all other treatments don’t work or when the pain cannot be controlled unless the underlying condition is dealt with. A Pain Clinic can be an invaluable resource. When dealing with chronic pain it can be very frustrating to not get results and to continue to suffer, and a pain clinic can change the outcome and help you become pain free. Chronic pain used to be something a person simply had to live with. However, thanks to the creation of Pain Clinics there is now a much better understanding of pain and its physiological and psychological effects, which means patients now have hope of leading a pain free life. It also means if you have chronic back pain, you should consider a visit to a pain clinic. While most back pain is self limiting and will eventually resolve on its own, the risk of it recurring and developing into a chronic condition is very real. Chronic back pain tends to be hard to treat especially in the cases where there has been failed back surgery, or where neuropathic pain (nerve pain) is present. Once a back injury turns into chronic back pain it becomes more difficult to deal with and the help of a pain clinic can be enormous. Pain management draws from a number of disciplines in science, healing arts and medicine to systematically study pain, prevent pain, evaluate and diagnosis pain and ultimately treat pain. One of the most common reasons for visiting a pain clinic is in hopes of treating chronic back pain. Let’s look at pain management and some of the techniques that could be used in treating chronic back pain. The therapies that the pain clinic may consider include spinal mobilization, chiropractic manipulations, acupuncture, Prolotherapy, physiotherapy, massage therapy, and medications are all treatment options in chronic back pain. When you are seen at the pain clinic, they will begin by doing a consultation to learn more about you, your back pain, current treatments, how effective they are, etc. Your doctor might also order other tests such as x-rays, MRIs or CAT scans. Once the doctor has all the information he or she needs a treatment plan will be determined. That treatment plan will be evaluated on a regular basis to make sure that it is working as expected and that any adjustments that are needed are made. If you have any questions, you should feel free to ask them. There is some good news here. A Pain Clinic is a great place to get help for chronic back pain. On average within a few short months, most patients suffering from chronic back pain will have a treatment plan that works and they will be pain free and able to live a normal life again. Pain clinics have a great deal of experience with chronic back pain, which is one of the most common conditions treated, and as a result, they have finely tuned treatment plans that work. So, if you are tired of suffering with chronic back pain, now’s a good time to visit a pain clinic.